It’s not uncommon to get a little swept up in the overwhelming feeling that often accompanies a busy schedule and an ever-growing to-do list. But often, when it comes to being productive, or even just maintaining a general sense of overall well-being, simply ignoring that feeling and pressing onward just isn’t the answer. That’s why I wanted to pass this along to you. It’s a four-step strategy from Dan Siegel, MD that we can use to slow our brain down and really connect with what we’re feeling – he calls it SIFTing the mind . . . Right now, try closing your eyes and simply ask yourself, what am I sensing right now in my body? You may feel tension in your muscles or you may sense your heart beating, your lungs breathing, or simply a wash of sensations from the body as a whole. What images come up in my mind’s eye? Images may take many forms, including the familiar visual ones. But you can also have images of sounds and touch, an image of a time of your life or some hope for the future. Images may be hard to put into words, but don’t worry about that – simply being aware of these inner mental experiences is what matters now. And what feelings are inside me? Emotions can involve bodily sensations, yes, but they also link our bodies to our thoughts, to our memories, and to our perceptions. Becoming aware of your emotional feelings can fill you with a wash of energy that may be challenging to name, which is fine. Just becoming aware of your emotional state is a great starting place. And now, what thoughts are streaming through my consciousness? It’s funny, but no one really knows exactly what a thought or thinking really is! So don’t worry if it’s hard to define what you mean when you say you are thinking this or that. Some experience an inner voice that they can hear, others just a sense that has no words. It is fine however thoughts emerge; you just need to let yourself be aware of whatever comes up for you right now. This is the basic way we can SIFT our sea inside to see what is going on. When we SIFT though our minds, we check inwardly on the sensations, images, feelings, and thoughts going on inside ourselves at any given moment. “Sift” is an apt term to describe the process, or course, because all of the many sensations, images, feelings, and thoughts that may come up in awareness are often connected to one another in a free-flowing process. With this technique, we can slow the brain down when it seems like there’s too much coming at us at once, and really attend to what we’re feeling. 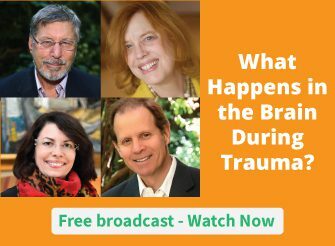 For more techniques that can help you train your brain to better connect with emotions, check out the New Brain Science webinar series. And if you’re looking for even more ways to use mindfulness to explore what your feeling, you might want to check out Dan’s new book, Brainstorm. Just take a look right here. What strategies do you use to slow down your brain and calm racing thoughts? Please share your comments below. I’m not a practitioner, just a person with lifelong anxiety who is always seeking something to assuage my worrying. I am finding that repeating a short mantra (3 words) can keep my monkey mind at bay – as long as I remember to keep repeating it!! Am I cheating on my mindfulness technique or is saying a mantra an “ok” approach, too? Sometimes when emotions are intense, and habitual reactive patterns (fight, flight, freeze), just takes over; tools like EFT (Emotional Freedom Technique/Tapping meridian points), can be very effective. With time & use of EFT, (easily taught in a session), the Mind/Brain-Body is entrained to respond, more calmly, clearly & creatively. Habitual reactions/patterns decreases. Quietening the emotions, & thoughts are both essential. After over 18years of using EFT, I have found this the most effective tool/practice for clearing/resolving the emotional charges/triggers from past events. Practicing/teaching ‘objectless awareness’, mindfulness, meditation, when opportunity arises, increases the effectiveness, and rate of positive changes. A simple Breath Awareness technique plus EFT, & changing perspectives, all enhance each other. Sometimes, medications, allopathic, herbal, nutritional may be needed, to help suppress/decrease symptoms, so that underlying habits, reactive patterns, and past traumas can be dealt with using other techniques & practices. *An integrated perspective of life (Body-Mind-Energy) in a physical vehicle, can result in transformative changes. What wonderful advice ! I think we all have these periods of fear and uncertainty etc., some of which I believe are also created by a lack of self-confidence. This is so amazing, accurate, and so useful for us as clinicians out there. Thank you Dr Siegle for sharing those tips. I missed. Dan Siegel because…you and others mentioned the free “tapping solution”.I will see Dan later. But yesterday I learned that you can always start the tapping by asking uourself questions. So how easy could live be??? You just gave me the questions above and I used them to tap on them!